The warnings of Plato resound in my ears as I walk through the halls of the Marina Bay Sands Convention & Exhibition Center. Heeding his advice that art is potentially threatening, and might lead one away from being a good person, I attempt to raise my defenses against the alleged onslaught of pathos that might reduce me. After all, one learns mimetically, and only the very best can shield oneself from the craft of an artisan—where representations are so close to reality that one is no longer able to distinguish what is real from mere imitations. In fact, at the highest level, the artisan’s craft potentially invokes the whispers of daemon—which momentarily affect, and infect, us with the seductions of their simulacra. Imagine my disappointment when, an hour into Art Stage Singapore (12-15 January, 2012), I remained unscathed. The only danger I faced was drowning in nothingness. And not the ironic nothingness of Warhol where the multiplication of images is a seductive challenge to the reader: an I dare you to make meaning of this. But a nothingness in its most banal form: where all work was flattened through the abstraction of exchange value. Where everything became everything, and anything else—utter and complete exchangeability. With each step I took, Jean Baudrillard’s provocative declaration in The Conspiracy of Art rang truer and truer: “[the majority of contemporary art] claims to be null—‘I am null! I am null!’—and it truly is null. Therein lies the duplicity of contemporary art: asserting nullity, insignificance, meaninglessness, striving for nullity when already null and void. Striving for emptiness when already empty. Claiming superficiality in superficial terms.” (27) All that the assertions, the claims, to foregrounding ideas over everything else accentuated was—craft was dead. The irony is: the nomenclature of the gathering—Art Stage—is a calling for craft. For, it is craft that creates the possibility of the arrival of art: the skill of the artisan—in its endless repetition in the quest for (perhaps an impossible) perfection—is precisely the ritual that opens the possibility for art. It is the foregrounding of the said craft that also seduces the viewer—to the point where the one that sees only looks at the work—such that one is potentially affected by art itself. In other words, it is only when the artisan isn’t attempting to create a work of art (whatever that even means) that there is the possibility of art. 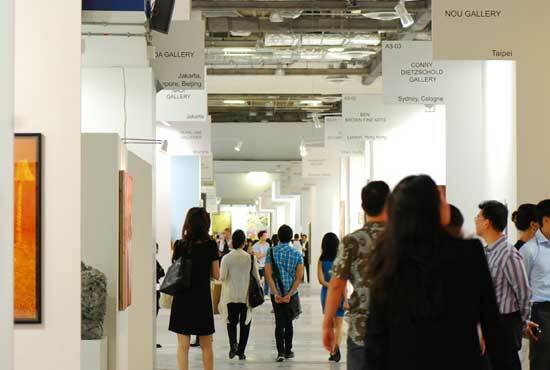 Which is why the only gesture of art at Art Stage Singapore was found in the unlikeliest of sources. At a corner of the cavernous exhibition space, I stumbled upon a small shop constructed out of plywood. Clearly hand assembled—beautifully. A collaboration between The Secret Little Agency and Basheer Books named The ABC Shop. What was initially baffling—as I found out later in a conversation with one of the artisans, Michelle Andrea Wan—was that the booth opposite had complained about facing, what they termed, a ‘mom & pop’ shop. Until I saw their provocation. 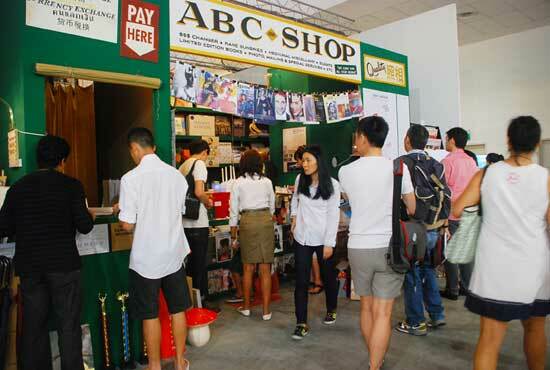 The ABC Shop service pledge conveys the vendor’s unique selling point. An open challenge to every other booth. By foregrounding exchangeability, exposing the secret that ‘contemporary art’ and ‘sale’ are synonyms; that something was only considered ‘art’ when sold. 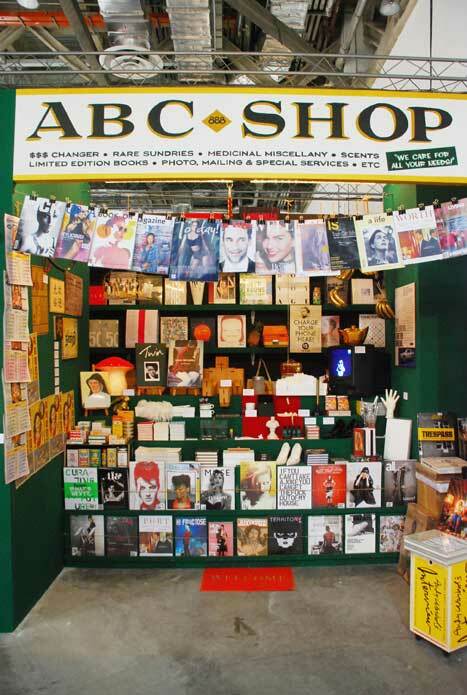 The complaint from the other booth was not about the aesthetics of the ABC Shop, but was due to the fact that the shop itself had shattered the illusion of Art Stage; the illusion that it was an exhibition of aesthetics, or even of ideas, thought. Not that anyone didn’t already know this. But, just because something is known does not mean it can be openly mentioned. This is, after all, the lesson of Stalinism. Just because everyone knows that Stalin is always right doesn’t mean you can point out the fact that you cannot challenge him—if you do so, your fate would have been worse than the one who actually confronted him. The latter would be shot, but you first. For, your crime is far more serious: you have challenged the illusion of communism itself, the illusion that everyone is equal; the very illusion that is required for the entire state mechanism to operate. It is not so much that illusions shield us from reality, but that reality itself requires illusions to function. 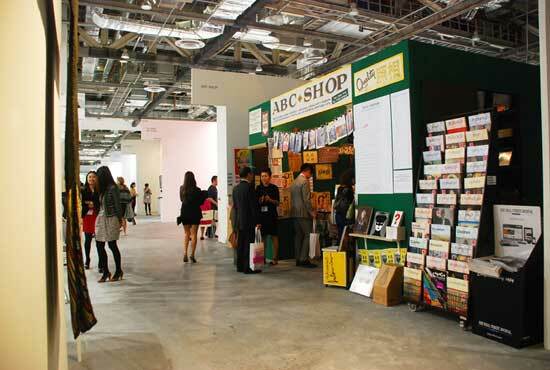 By nullifying its own status as art, The ABC Shop opens the space for the viewer to catch a glimpse of art. 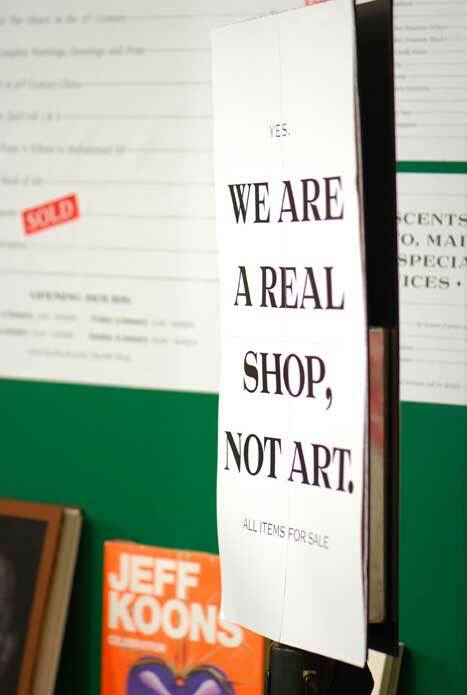 By not claiming to be anything but a “real shop,” there is room for an imaginative gesture; there is silence such that whispers might be heard. This is not the performative nullity that is seen throughout the rest of the fair; this is complete nullity. And here, we should not forget that true “nullity, however, is a secret quality that cannot be claimed by just anyone. Insignificance—real insignificance, the victorious challenge to meaning, the shedding of sense, the art of disappearance of meaning—is the rare quality of a few exceptional works that never strive for it.” (28) Where art potentially lies; precisely in the space left for it. By being precisely nothing more than a well crafted ‘mom & pop’ shop. Jeremy Fernando is the Jean Baudrillard Fellow at The European Graduate School. He works in the intersections of literature, philosophy, and the media; and is the author of five books—most recently Writing Death. Exploring other media has led him to film, art, and music; and his work has been exhibited in Seoul, Vienna, Hong Kong, and Singapore. He is the editor of both Delere Press, and the thematic magazine One Imperative; and is a Fellow of Tembusu College at the National University of Singapore.